We are all too familiar with frequent stories in the headlines regarding fatal car crashes and pedestrian accidents. With our population continuing to skyrocket in Austin, crowded roads and intense traffic can lead to downright dangerous driving conditions. But in reality, one of the leading causes of vehicular accidents is neither. Distracted drivers are often to blame. 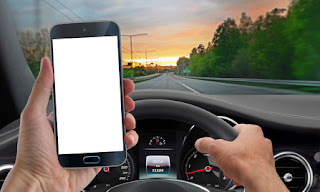 In 2014, the U.S. Department of Transportation reported that there were an estimated 431,000 people injured in distracted driving-related crashes, resulting in broken bones, fractures, concussions, spinal injuries, and even loss of limbs. This is a serious yet common issue throughout the country, having led the American Academy of Orthopaedic Surgeons (AAOS) and the Alliance of Automobile Manufacturers (Auto Alliance) to create the Decide to Drive initiative in 2009. Decide to Drive is a distracted driving awareness program challenging drivers of all ages to remain free of distractions while behind the wheel. Texting is the predominant distraction, along with eating/drinking, applying make-up, and talking on the phone. In a split second, any one of these activities can break your concentration and cause you to take your eyes off the road. Recently just in March, the program unveiled an updated version of their #NoSmallDistractions video series showing how even little things can prove to be a big distraction in the car. The series is currently airing as a public service announcement nationwide. Put on any accessories you need, like sunglasses or earpieces, prior to starting the car. Enter all addresses into your navigation system, or load music into the sound system, before driving away. Pull over and stop your car in a safe area before tending to kids, pets, or having an in-depth phone conversation. For additional driving tips or more information, visit www.decidetodrive.org.